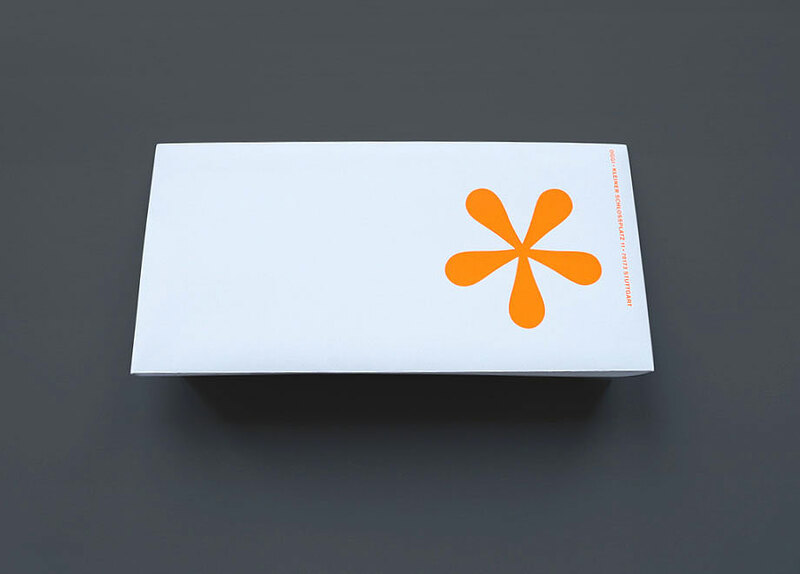 I am a designer working with Visual Communication. I create things that need to tell a story, lead the way or simply inform. I ♥ what I am doing. Please feel free to contact me! 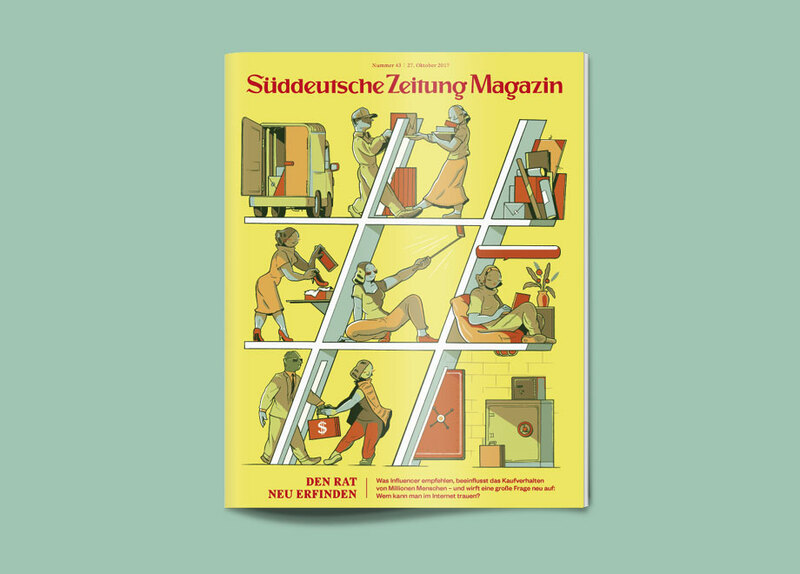 I helped to produce the final SZ Magazin of the year 2018. Crossing No. 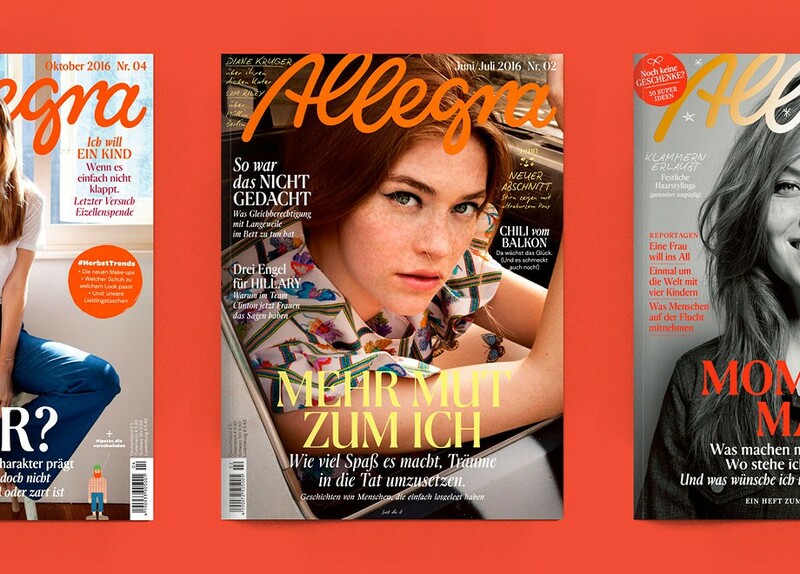 2. featuring Wolfgang Tillmans, Marion Ackermann, Wim Wenders, Avery Singer and many more! 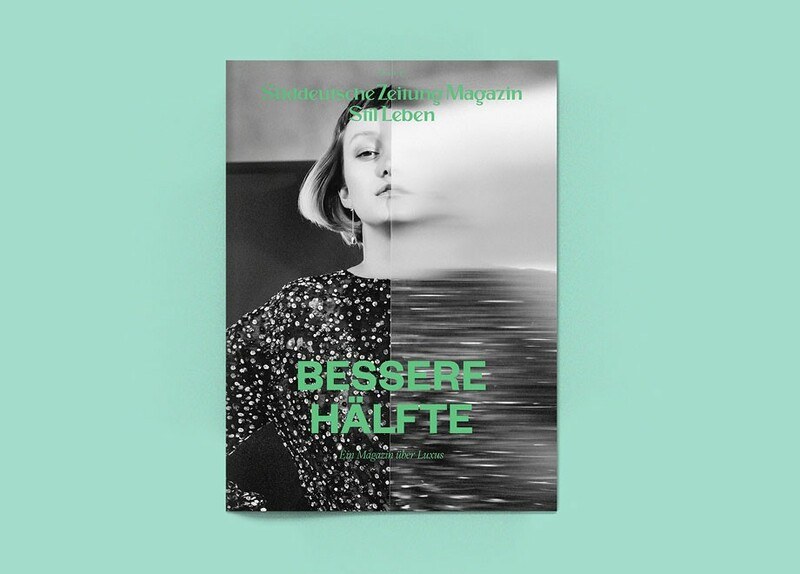 I helped to produce the Fashion’s issue of the SZ Magazin by coming up with a typography concept. 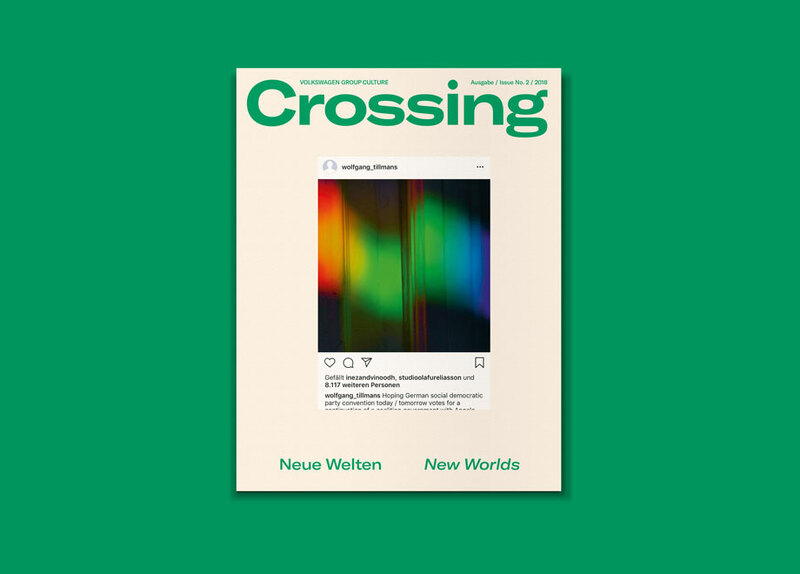 Crossing is a publication by Volkswagen Group Culture. 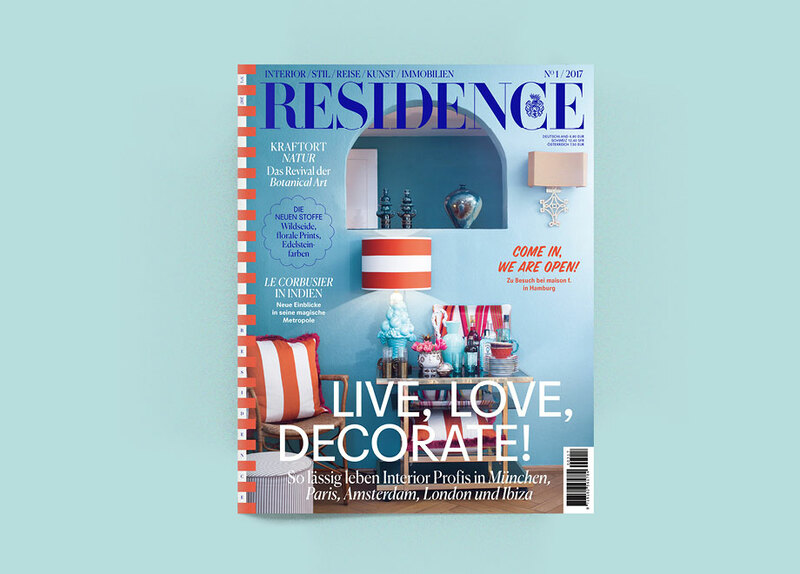 I helped designing the issue No. #1. featuring Adam Scymcyk, Bill Murray and lots of art. 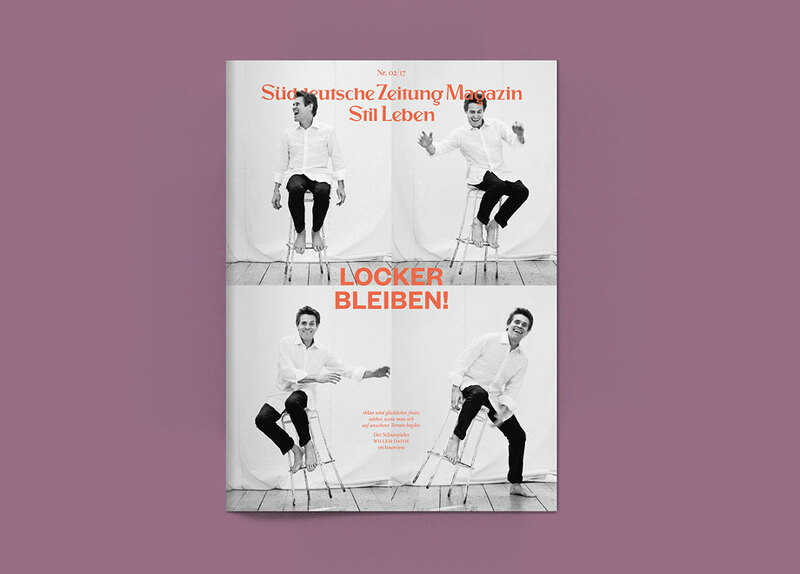 Stil Leben is a supplement of the Süddeutsche Zeitung. In collaboration with Art Director Alexis Zurflüh I designed the second issue of 2017 featuring Willem Dafoe, dart playing Londoners and sea weed from Faroe Islands. 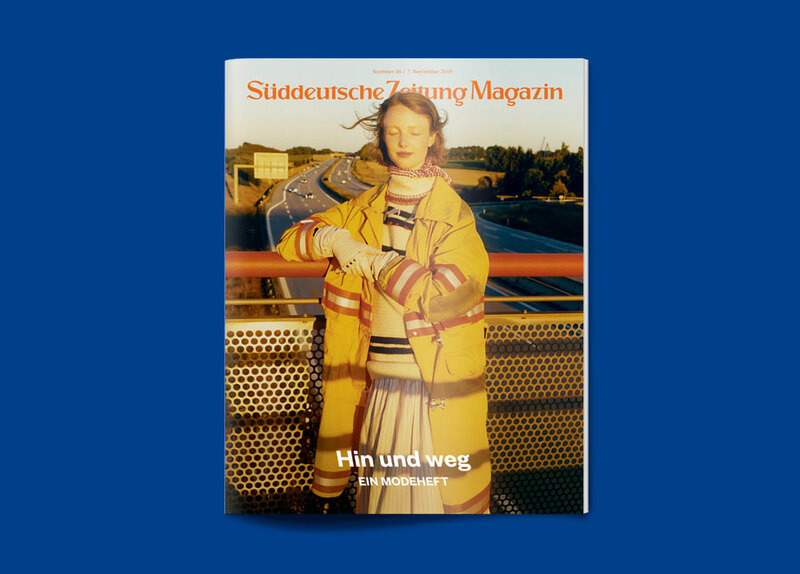 Stil Leben is a supplement of the Süddeutsche Zeitung. In collaboration with Art Director Alexis Zurflüh I designed the first issue of 2017 featuring Margaret Atwood, a girl behind a mirror and crazy pasta. 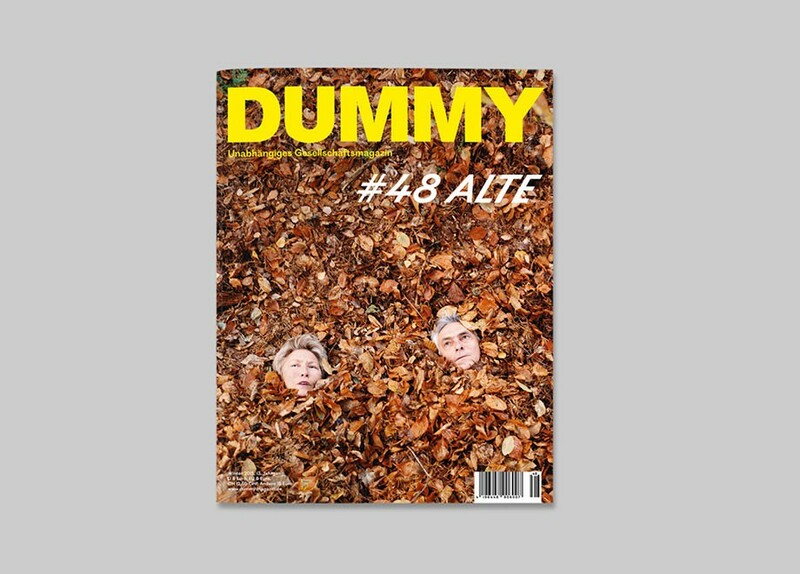 Dummy is published four times a year and every issue starts from scratch. 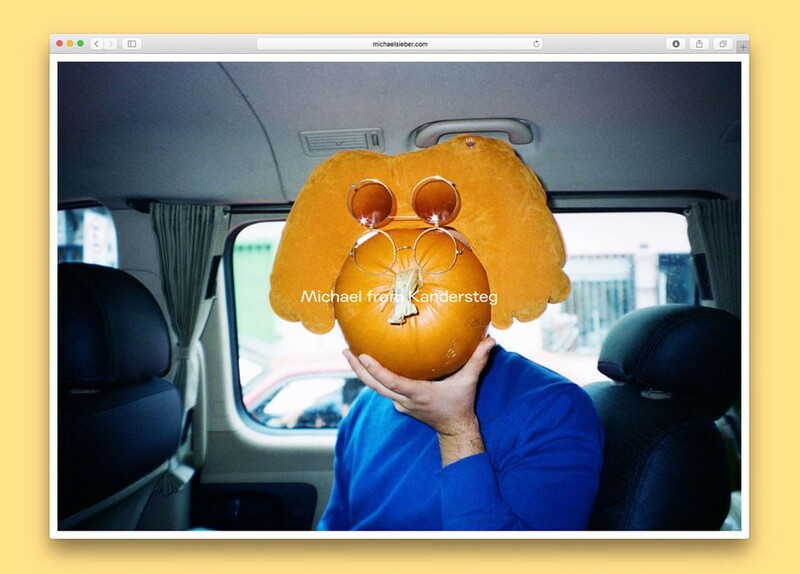 With the help of Anna Luise Lorenz I designed issue #48, a magazine about the elderly. 生活时尚 – The third issue of Stil Leben in Chinese in collaboration with Nansen & Piccard and art director Alexis Zurflüh. 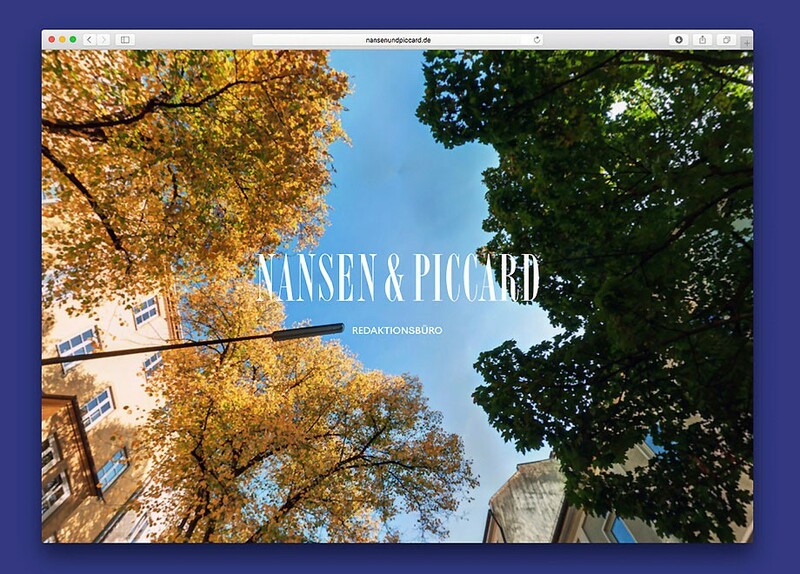 Nansen & Piccard is an editorial office based in Munich. Together with Nansen & Piccard’s very own Alexis Zurflüh I delivered the design. Stil Leben is a supplement of the Süddeutsche Zeitung. In collaboration with Alexis Zurflüh I designed the first issue of 2015 – a magazine dedicated to jewellery and watches. 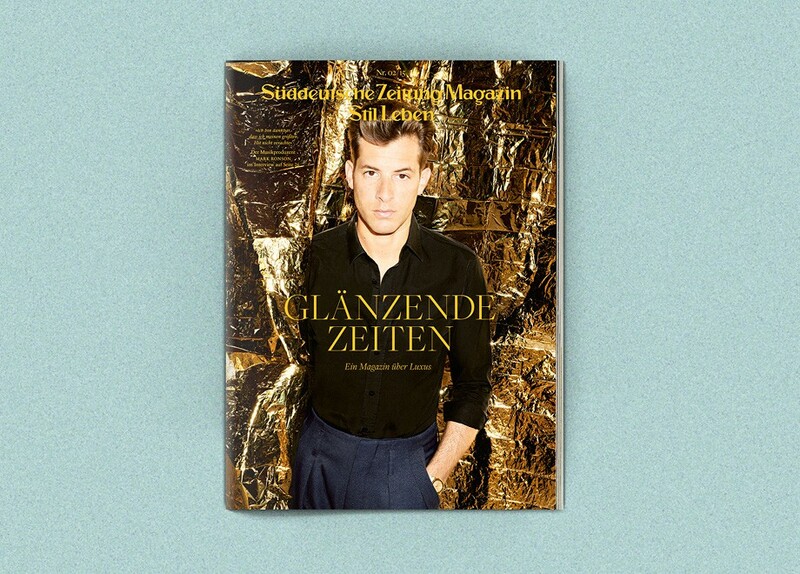 I helped to produce the men‘s issue of the SZ Magazin. Stil Leben is a supplement of the Süddeutsche Zeitung. In collaboration with Art Director Alexis Zurflüh I designed the second issue of 2016 featuring Liv Lisa Fries, a clumsy woman and the Pet Shop Boys. Stil Leben is a supplement of the Süddeutsche Zeitung. In collaboration with Art Director Alexis Zurflüh I designed the first issue of 2016 featuring Marina Abramović, sleeping business men and André Heller. 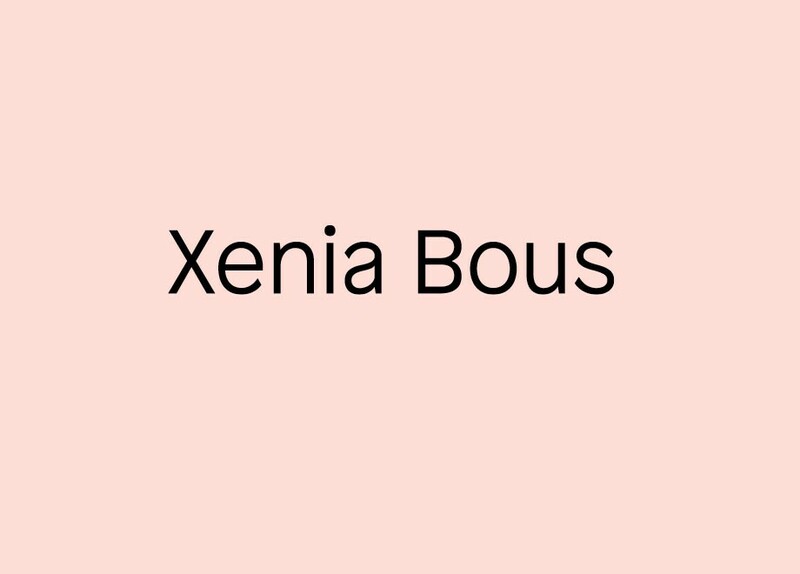 Together with Art Director Alexis Zurflüh I designed the logo and web page for Hamburg-based jewellery designer Xenia Bous. The first time I had to layout from right to left. 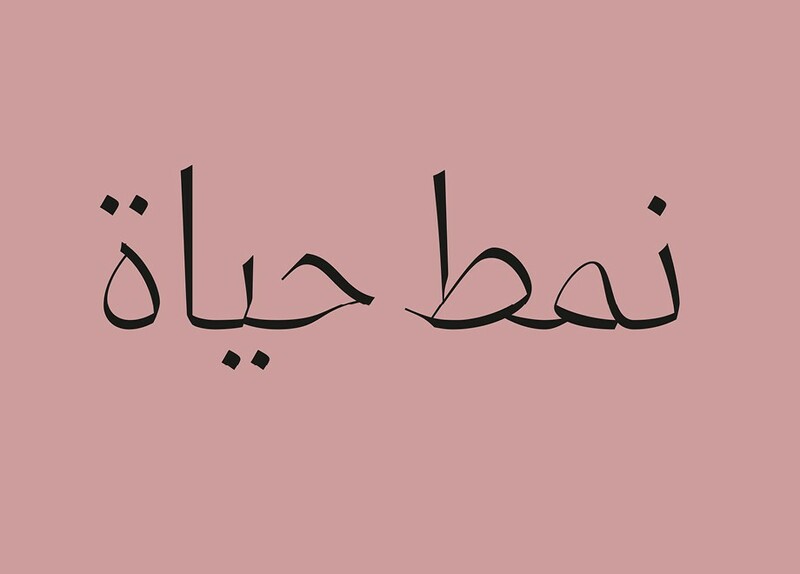 Stil Leben in Arab! 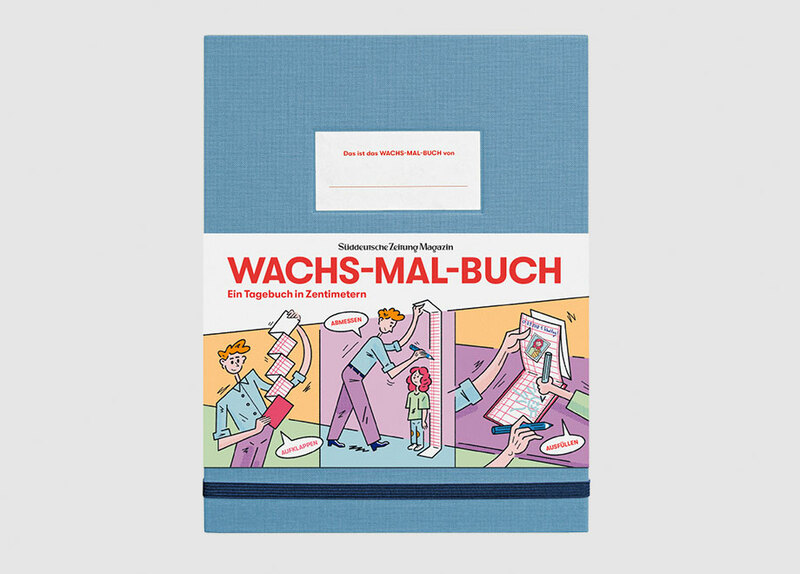 In collaboration with Nansen & Piccard and art director Alexis Zurflüh. 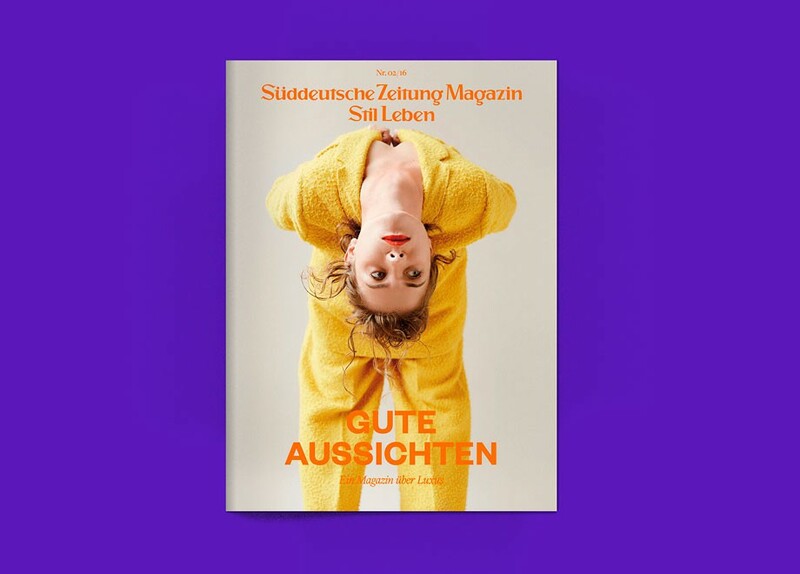 Stil Leben is a supplement of the Süddeutsche Zeitung. In collaboration with Art Director Alexis Zurflüh I designed the second issue of 2015 featuring Marc Ronson, Stradivari violins, lobster and a love story. 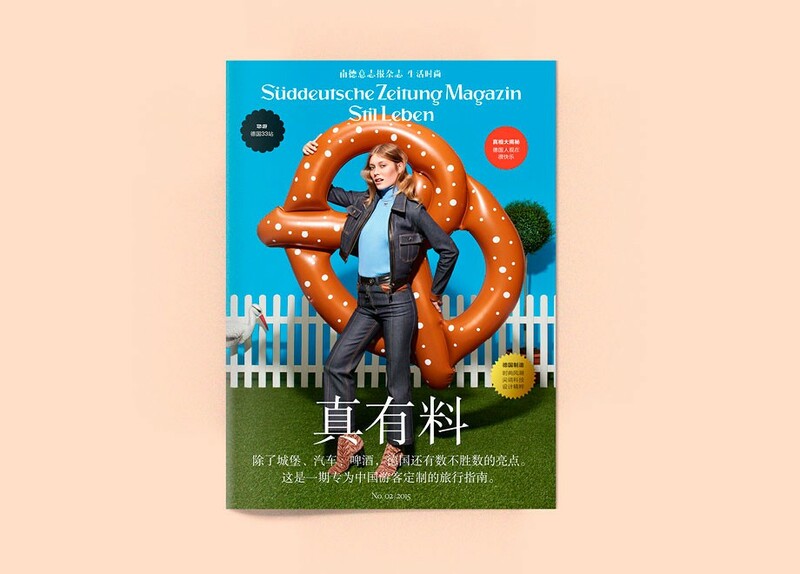 生活时尚 – The second issue of Stil Leben in Chinese. 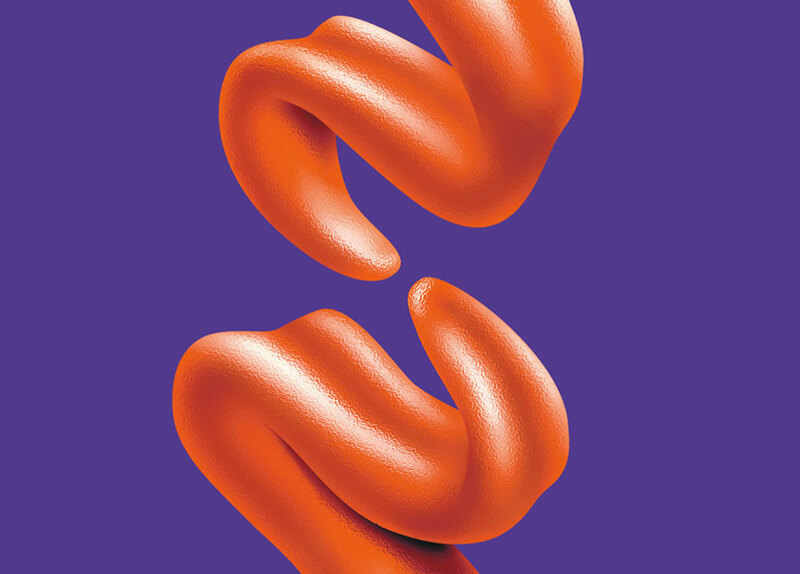 Art direction by Alexis Zurflüh. 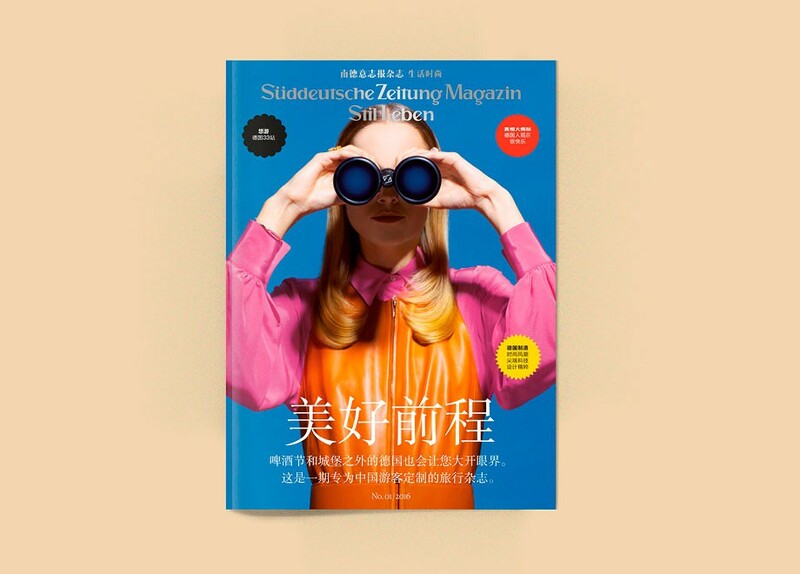 生活时尚 — In collaboration with Art Director Alexis Zurflüh I designed the first Chinese edition of Stil Leben, a supplement of the Süddeutsche Zeitung. The second issue of Underverk’s Season Magazines documents a series of exhibition dedicated to the senses. The newly opened Hotel Miss Clara is serving its very own edition of Grythyttans Brygghus’ Bitter Ale. 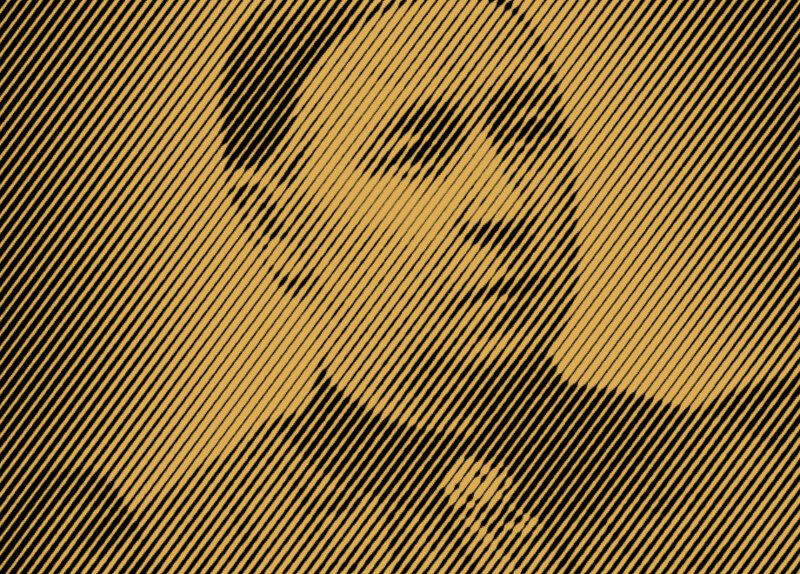 The basis for the design of the beer label is Miss Clara herself, the principal of the former all-girls school in the centre of Stockholm. 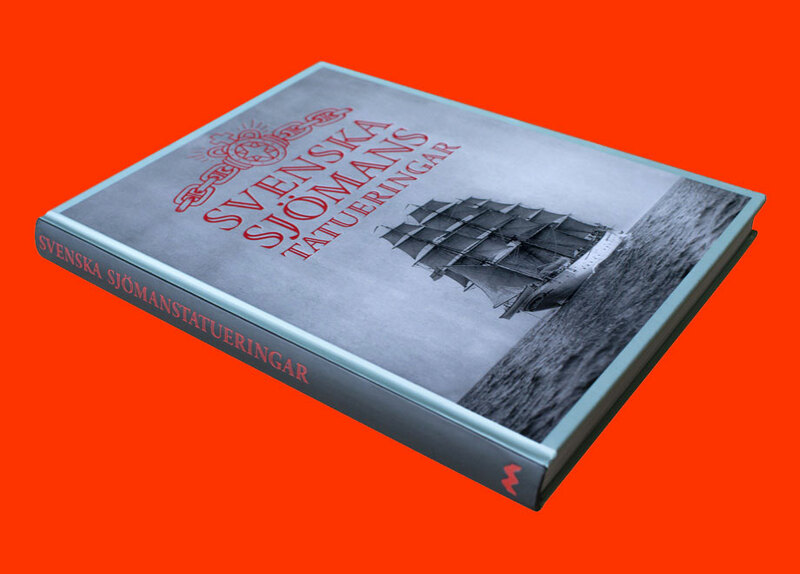 Svenska sjömanstatueringar, the most recent publication of publishing house Medströms Bokförlag, is a book about ships, sailors and tattoos. I delivered concept and layout. Amerikafilm is a film production company based in Berlin and focusing on national and international auteur cinema and video art. I have produced the graphic profile which includes a logo, animation, stationary and web design. 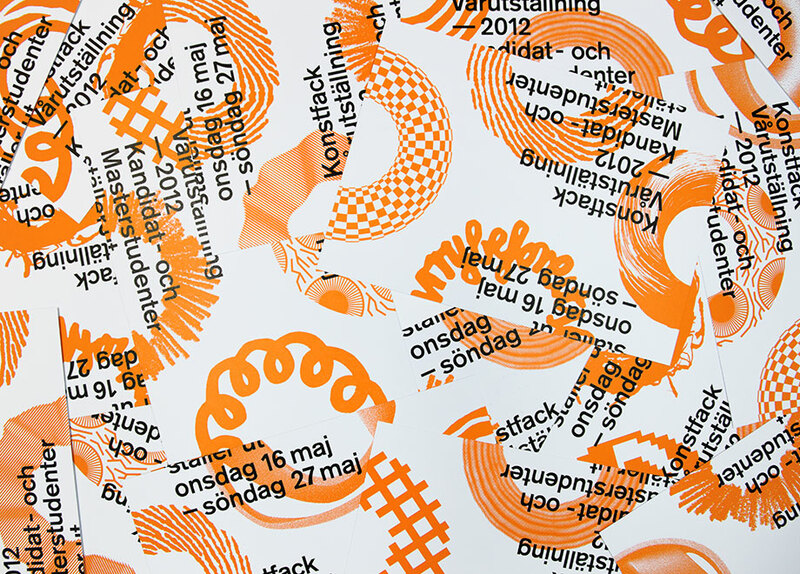 I created the graphic profile of Konstfack’s Degree Exhibition 2012. Each of the 16 courses at the university is symbolised by its own circle which can be combined with any other circle. With the help of Andrejs Ljunggren I designed poster, invitation card, brochure, web page and a signage system outside as well as inside the exhibition space. 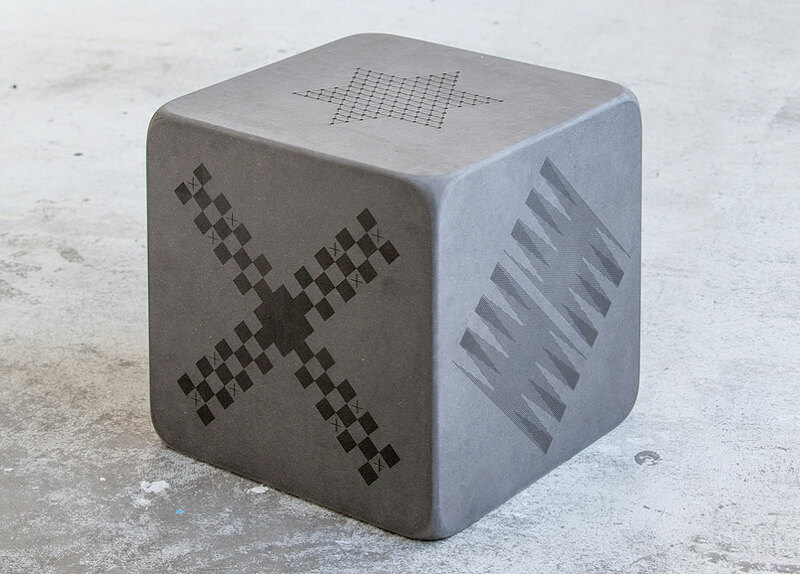 Checkers, Pachisi, Chinese Checkers, Backgammon, Chess and Tic Tac Toe – the Dice Table combines all classic board games. 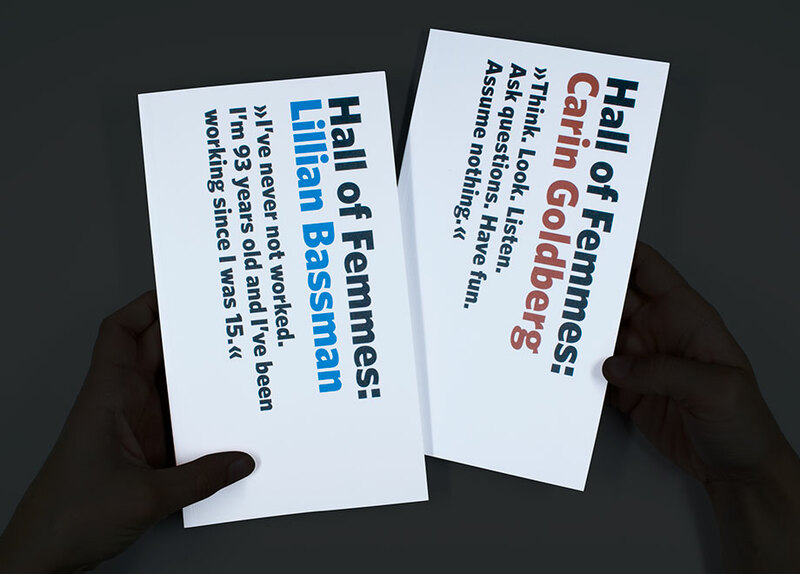 I helped studio Hjärta Smärta to edit and design two books of their Hall of Femmes project. It is a dedication to female graphic designers. Design consultancy Designliga asked me to pitch a proposal for the corporate design of Puls, a new youth radio station set up by the Bayerischer Rundfunk in Munich. When the radio starts the play button transforms into a logo that keeps on “breathing” as long as the music plays. 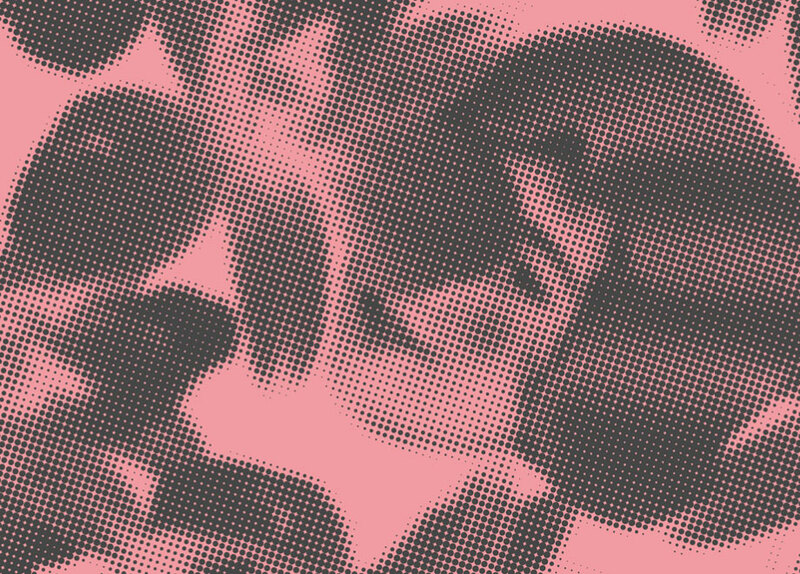 Swedish fasion label Acne asked me to design proposals for scarf prints that were to be handed out to visitors of the store openings in Paris and Shanghai. 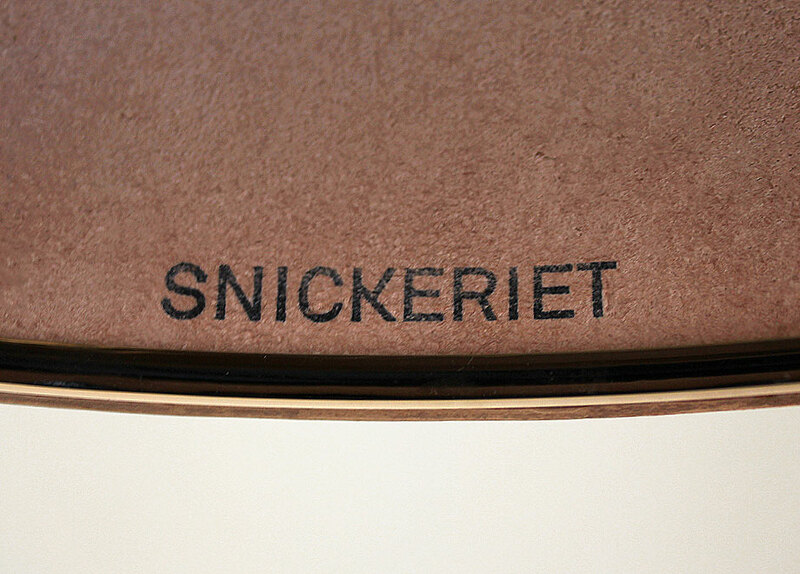 Snickeriet is a carpentry working on comissions as well as manu­facturing and distributing their own furniture. I have created their corporate design.